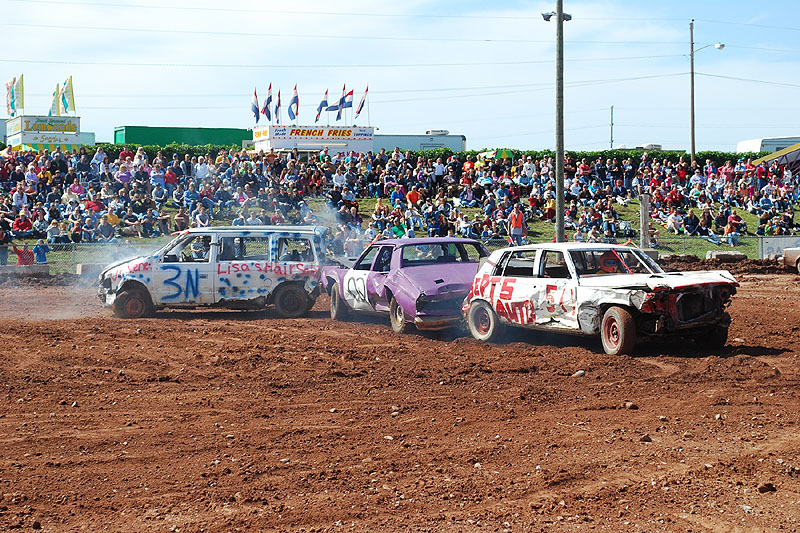 This summer's unseasonable weather continued to plague local events, and the 2009 Houghton County Fair was no exception. 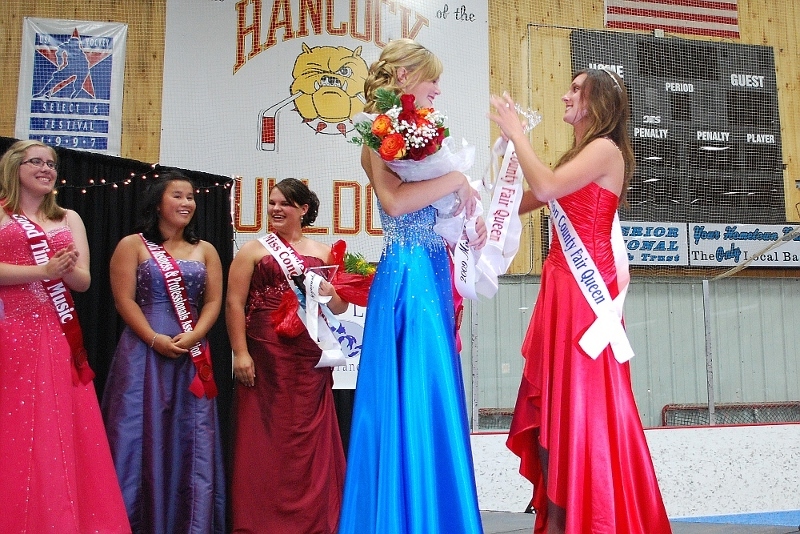 Thursday brought opening activities, which meant it was time for the annual Houghton County Teen Queen Pageant. The final four ontestants remain on stage, awaiting the naming of the winners. 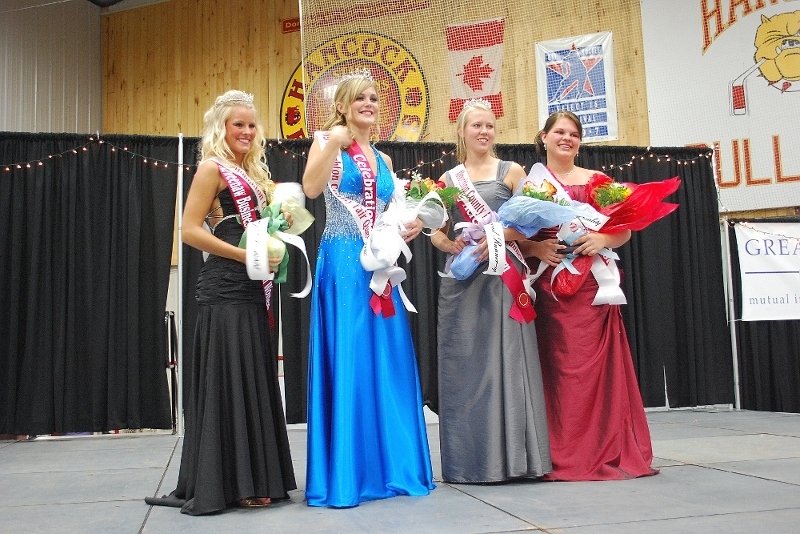 Named Miss Congeniality was Stephanie LeClaire ( R ); 2nd Runner Up was Katie Mattila (2nd from R);, 1st Runner Up – Jannelle Klemett (L). 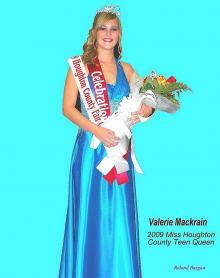 Miss Houghton County Teen Queen was Valerie Mackrain. Miss Mackrain was crowned by last years Teen Queen, Amber Harris. 2009 Miss Houghton County Teen Queen - Valerie Mackrain. 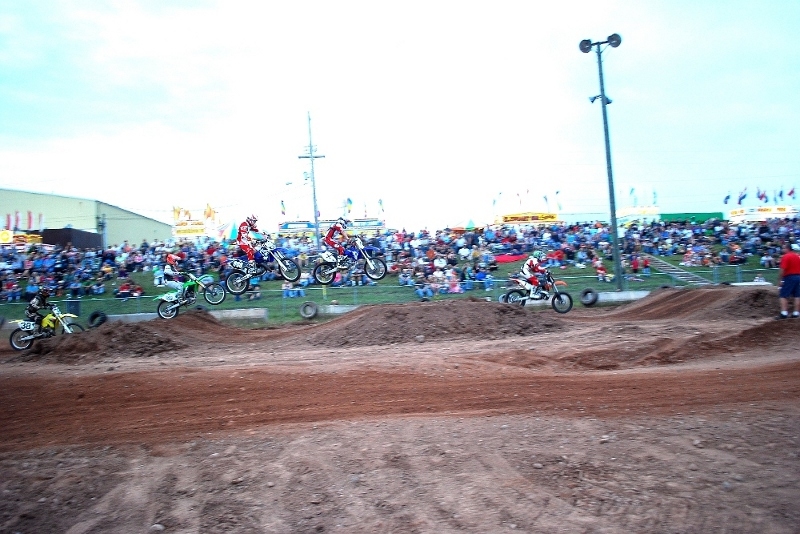 Also on Thursday evening are the Motocross Races. First to run are the 4 wheelers. 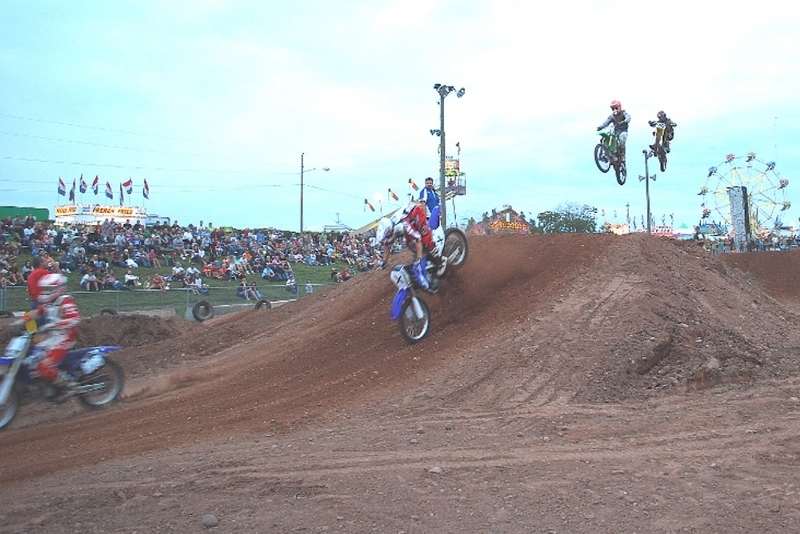 Next up are the bikes, there are 4 bikes in the air, and one about to become airborne. 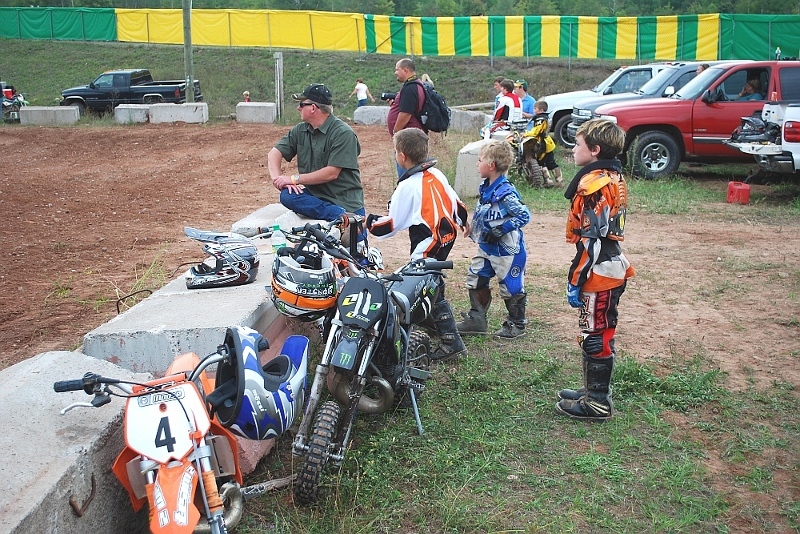 These next generation Motocross racers are intently watching how the big boys perform their moves. 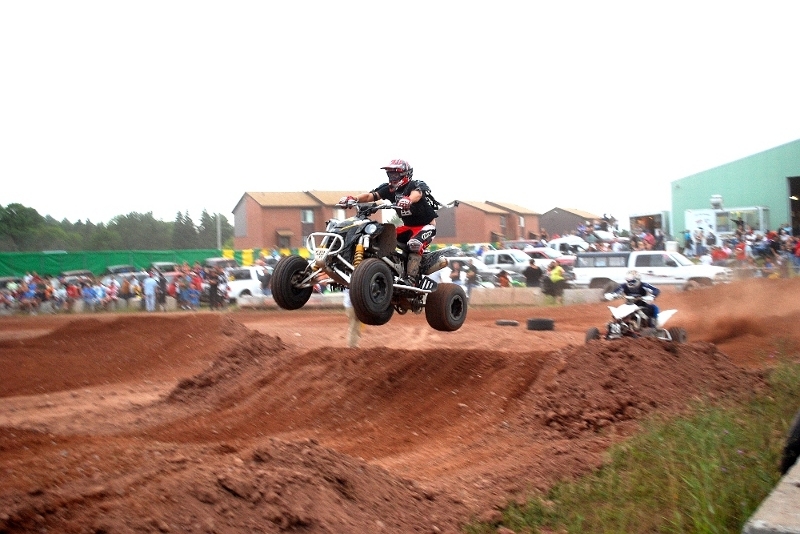 The older racers take to the air on the jumps. 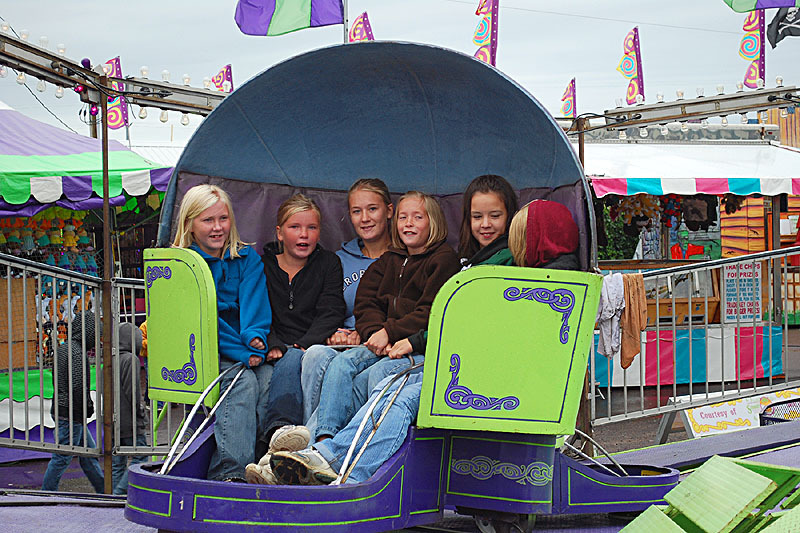 Six pretty young ladies ride the Tilt-A-Wheel. 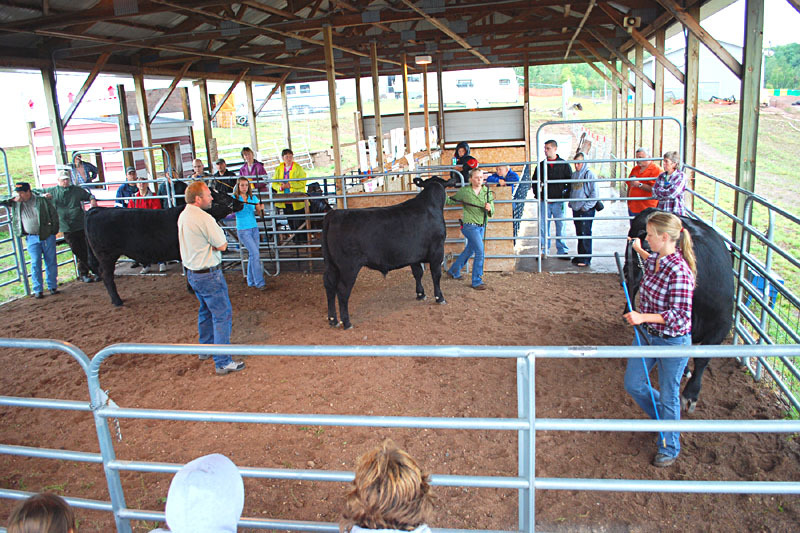 Judging is under way on Friday at the Livestock Pavilion for the Market Steers. 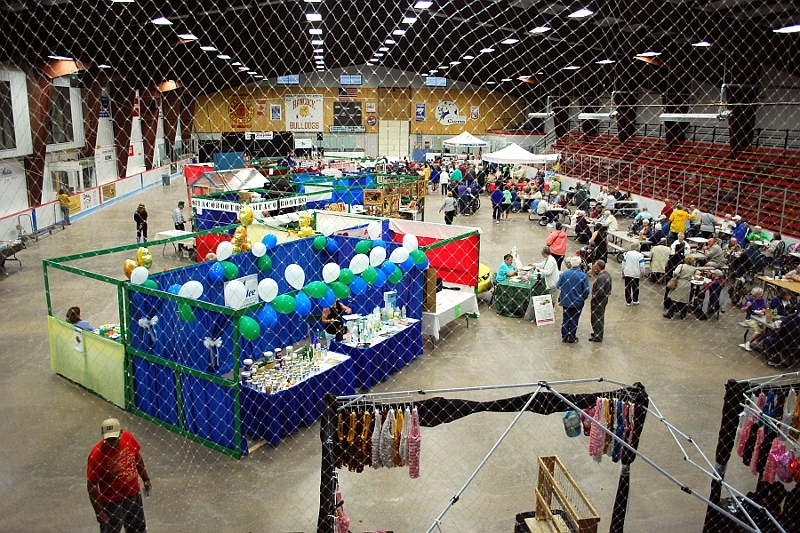 The Open Class Exhibits Awards and Ruth E. Best Homemaker of the Year Presentation was a part of the Senior Citizens Day Program. 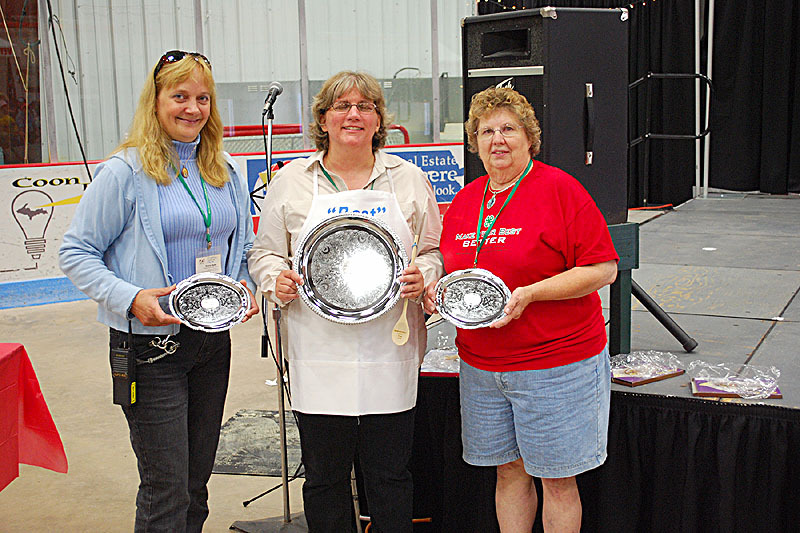 (L) Paula Dube; and ( R ) Joan Nosbaler win Awards; and Margaret Dunstan ( C) won Homemaker of the Year. Senior Day noon luncheon in the Indoor Arena. Performing on stage were the Chicago Honey Bear Dancers. 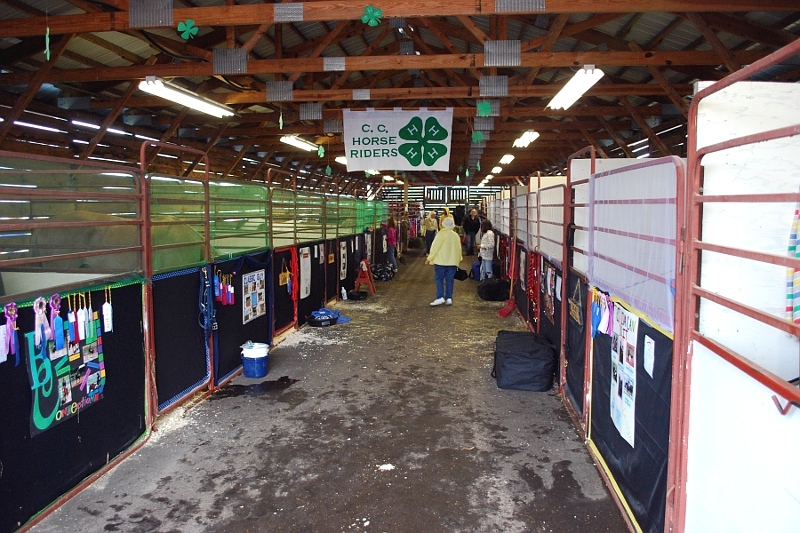 The horse barn. 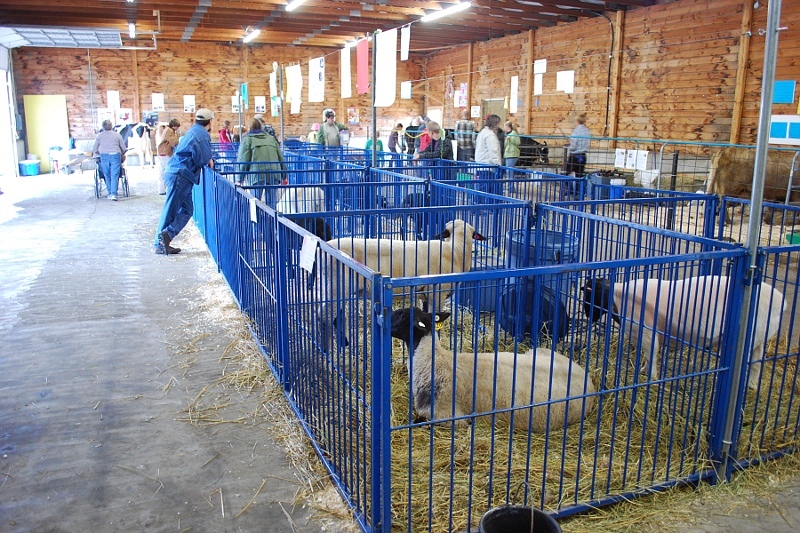 One side of the livestock area. And the other side shown here. 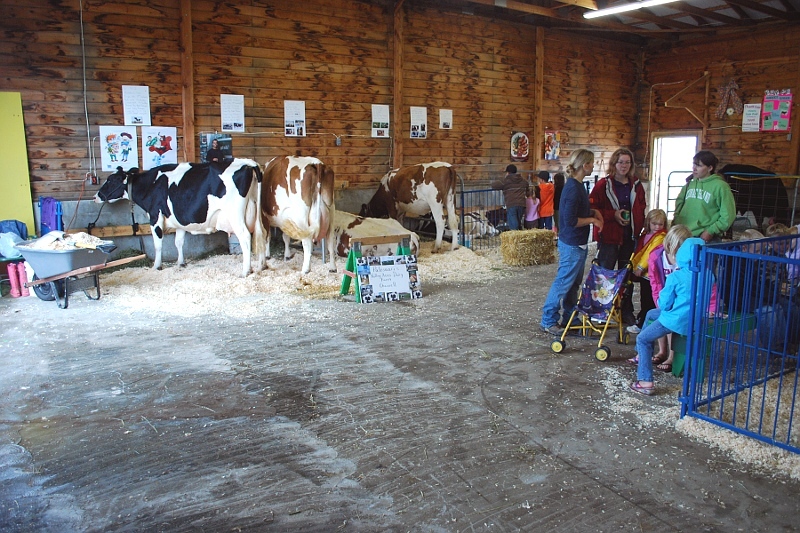 Here the cattle barn area. 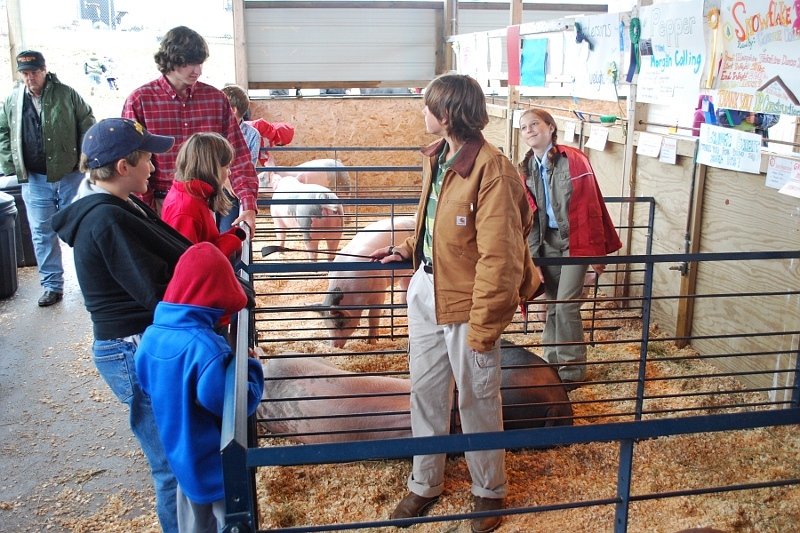 The hog and swine pens. 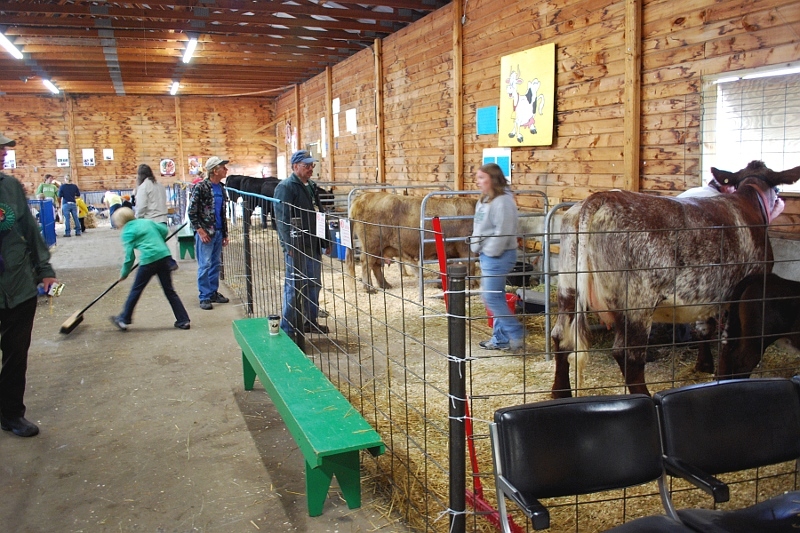 Saturday was the livestock auction. The Blue Ribbon steer (owned by Karena LaTendresse) sold for $3.45 a pound. Larry Shoaff, Eccono Foods Store Manager (holding Blue Ribbon) was the successful bidder. 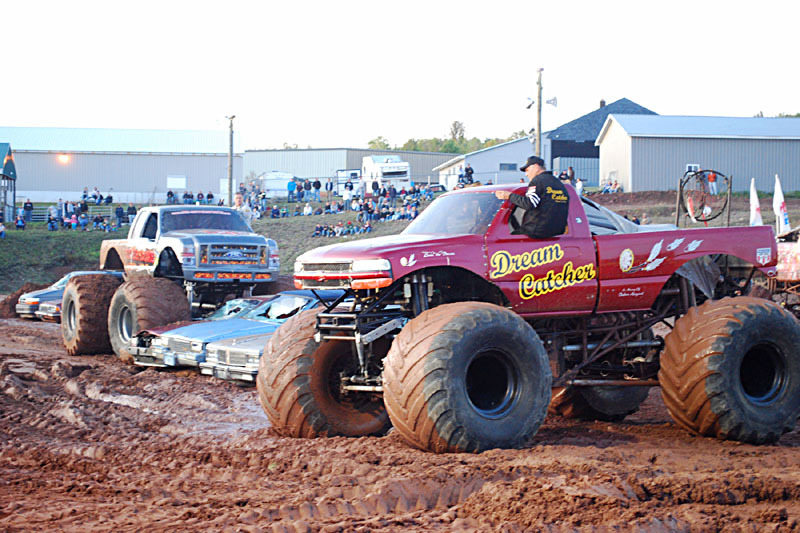 Two days of rain failed to cancel the Monster Truck Show, but our intrepid Queen and her Court needed a Monster Truck to make an appearance. 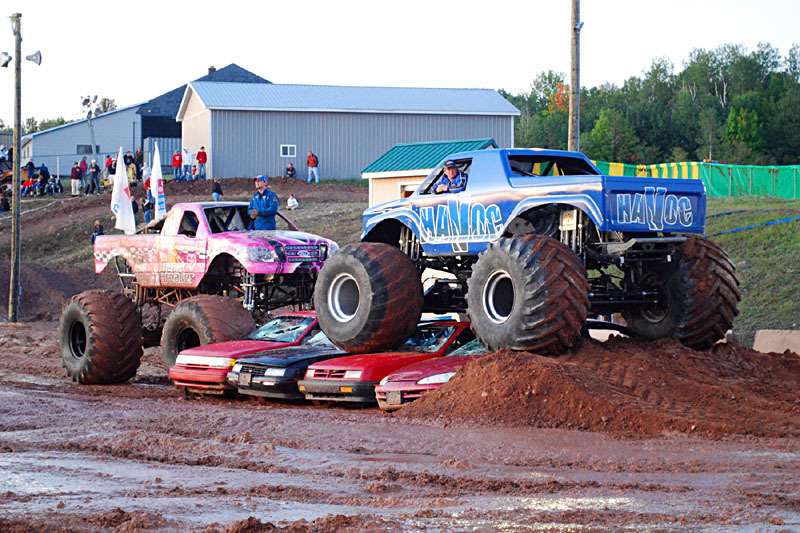 Always a crowd favorite, the Monster Tucks take to the Arena. 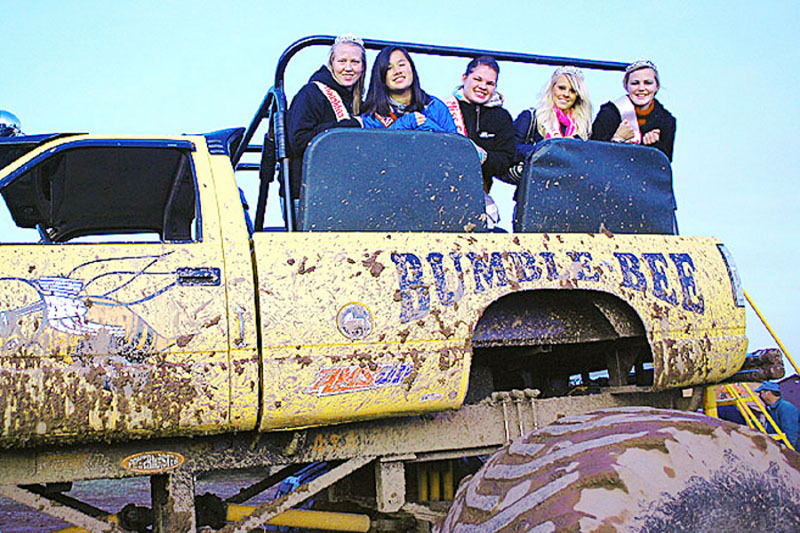 Cash for Clunkers cars? Well, certainly clunkers now. 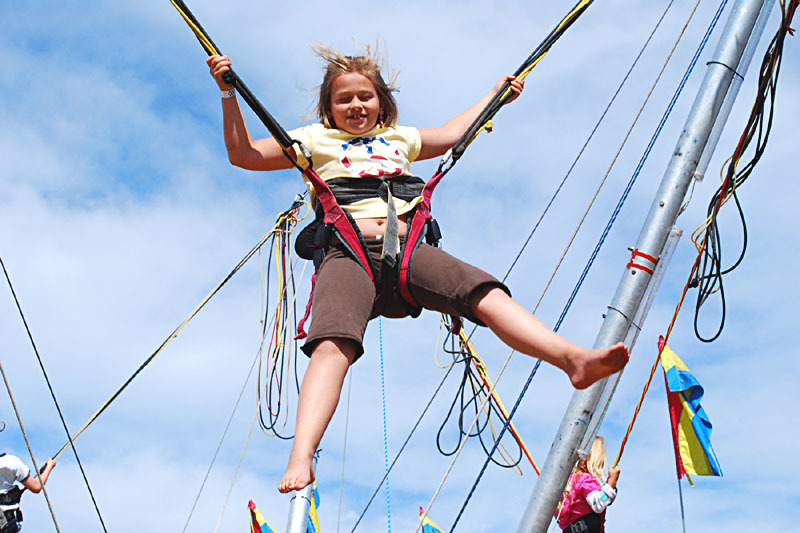 Isabelle Therrian, Calumet (father: Cliff Therrian, Jr.) heads rapidly upwards Sunday on the Bungee Bounce, a part of the T.J. Schmidt & Company Carnival. 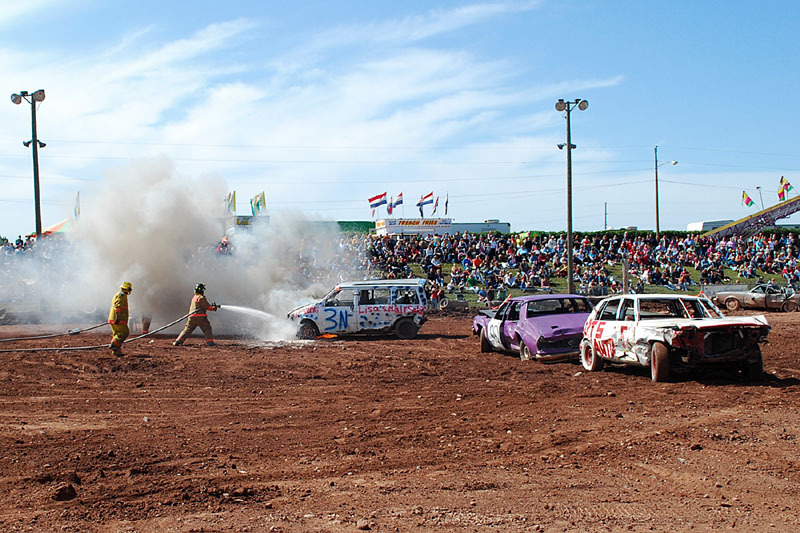 Sunday was also the day for the Demolition Derby. For the first time anyone could remember, a fire broke out in a vehicle, but was quickly extinguished by the on site Quincy-Franklin VFD. 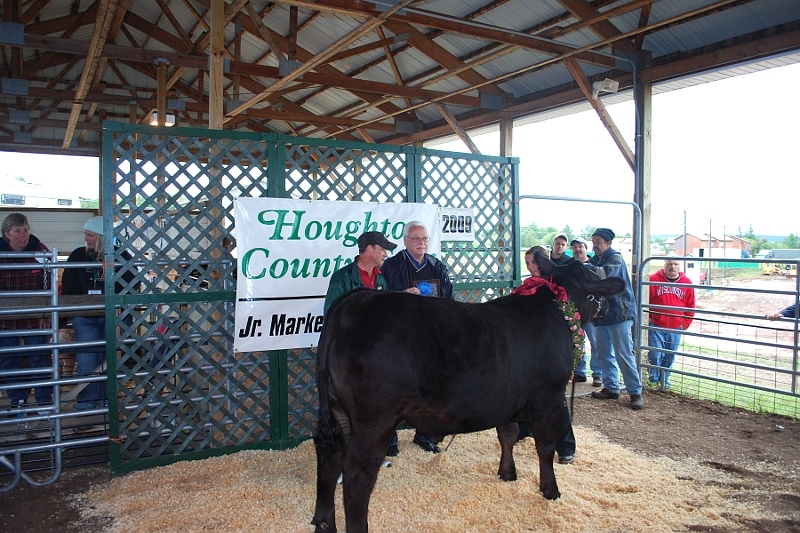 Join us next August for the 59th Annual Houghton County Fair.